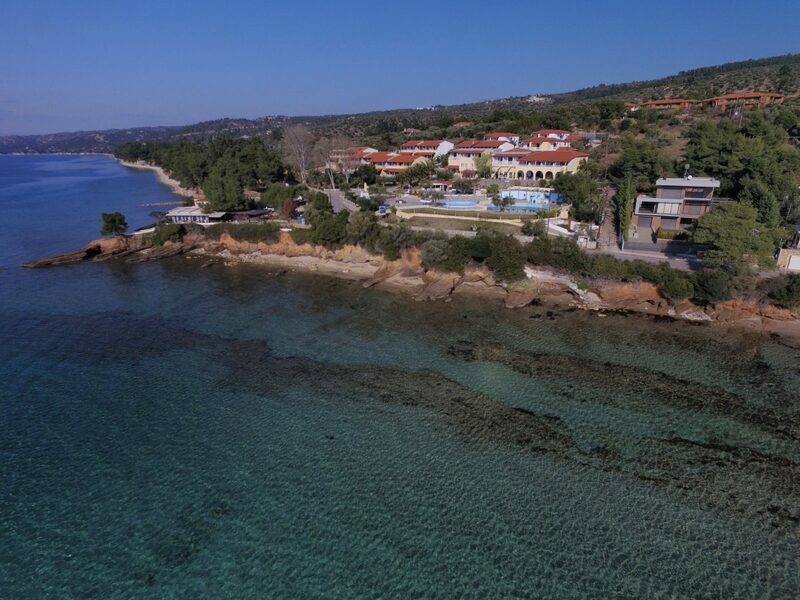 Elea Village hotel unit of ACROTEL group is located at a special, in terms of natural beauty, environment. The beaches feature turquoise waters, white sand and pine trees that reach down to the sea. However, the coastline faces severe erosion problems and locally declines at an alarming rate, threatening both the natural environment and infrastructure. The hotel unit is situated at a rocky shore that shapes into a small peninsula. It is subject to strong erosive forces that result in complete lack of fine sediment from the coastal zone down to -1.5m depth. This, not only makes the coast completely unattractive for visitors, but also inaccessible from the adjacent beach at the south. 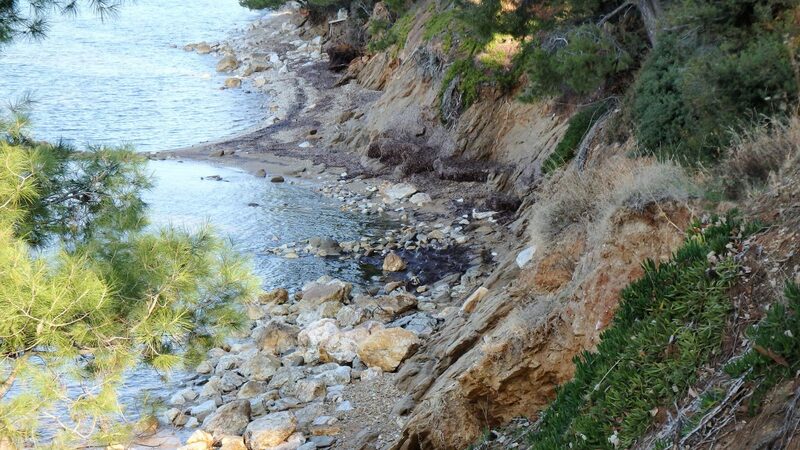 In addition, it suffers from soil slope erosion at the back of the beach. The hotel administration wanted to upgrade the quality of its services and in December 2005 it contracted CNWAY to carry out the beach nourishment and coastal protection study of the hotel beachfront. make sure no erosion occurs in adjacent shores. 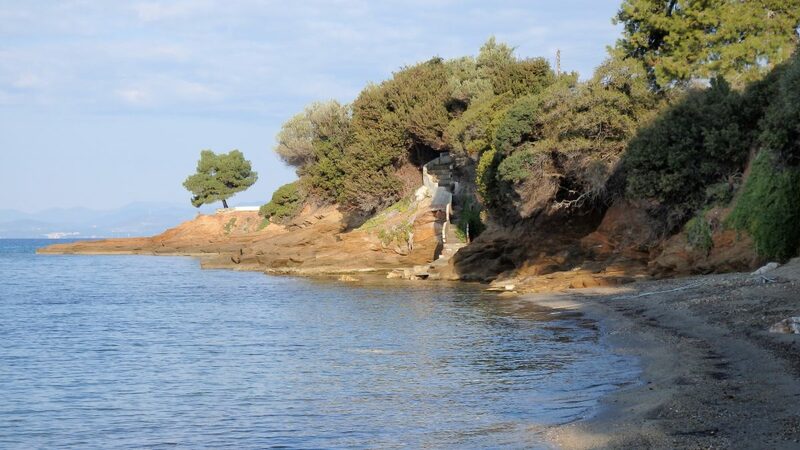 The preliminary design for beach rehabilitation was based on the assumption that the nourishment material would be fine gravel, which would allow a steeper face towards the sea. The solution was tested with the numerical model and the results confirmed it works. After detailed evaluation of all available nourishment sources , the design team in cooperation with the administration, ultimately chose to nourish with sand equivalent to that found on local beaches. The particle size of the selected sand is much smaller than that of fine gravel, therefore the design was changed to maximize retention of the sediment. Project design optimization was carried out, in the context of the sediment transport study by means of numerical modeling,. 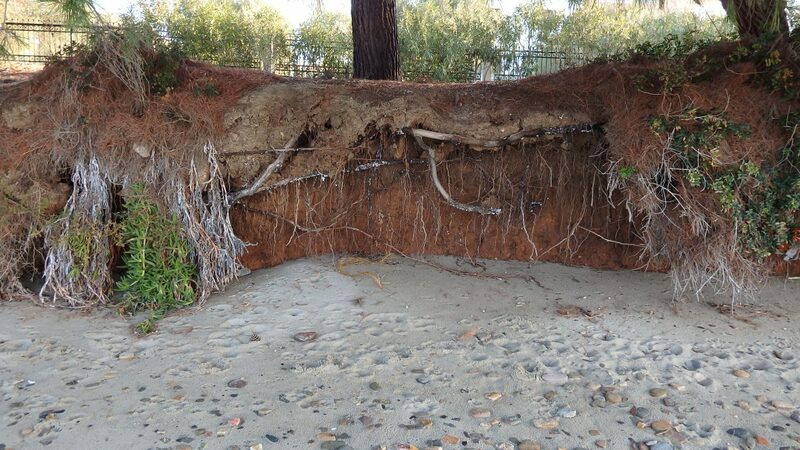 The study investigated the response performance of retention structures against the local wave climate and improved the layout in order to minimize sediment loss. The optimization was completed in three consecutive iterations until their response was satisfactory. 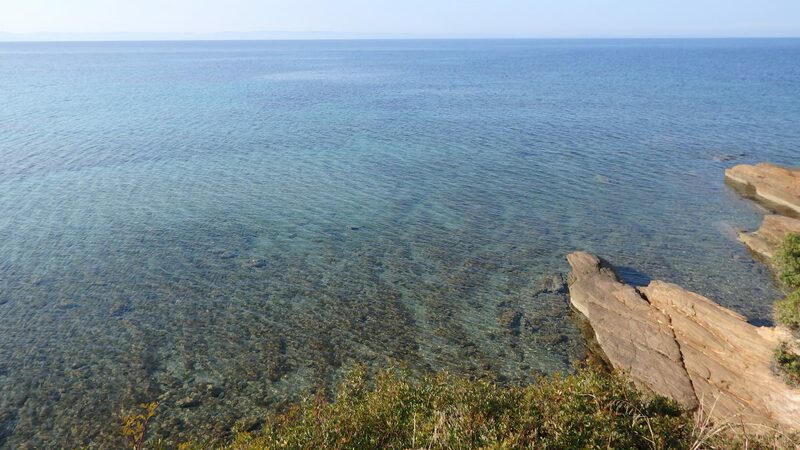 At the north edge of the coast there is a rocky peninsula that extends about 30m into the sea, which acts partially as a natural littoral barrier. This peninsula is a local natural landmark and thus no intervention is acceptable. As a consequence it is proposed to nourish the beach and construct a groyne only at the southern edge to prevent dispersion. The groyne was deemed necessary as the surrounding coastal zone is subject to intense erosion by strong waves that mainly occur during winter months. It is therefore impossible to retain the nourishment material without providing a means to prevent its dissipation. The groyne is not expected to affect the adjacent beach as the existing net sediment transport at this point is negligible. 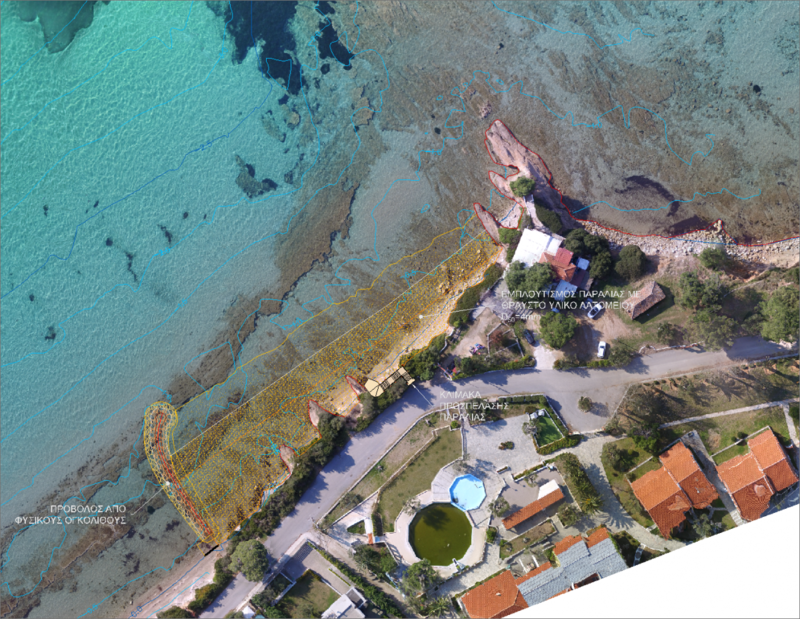 The detached breakwater alternative was rejected at the early stages due to environmental limitations (existence of posidonia oceanica meadows) and increased capital costs. Construction of a groyne 38m long. The groyne starts perpendicular to the shore and towards the end it turns 55° to north. Nourished beach width is 19,0m at the southen edge and gradually fades to 0 towards the northern end. Beach crest level at +0,80m from M.S.L.